My latest bookshop is an unassuming place, labelled as selling new and used books it stands out from the street for its green canopy and table of books, but from the outside there was nothing to indicate just how much it would influence me once I stepped inside. In fact, even now as I think back to Judd Books with its rows of shelves and piles of books everywhere I’m surprised by the impact it had. Because – while it was obviously a fascinating bookshop and really grabbed my attention – on paper it’s not so remarkable. On paper Judd Books is simply a large collection of discount books. But then, as we all know, bookshops only really come alive when visited. When you step through the door and discover their true character, seeing the browsers scattered around (of which there were a great many) and gauge the flavour of the books on offer. Which was downstairs into an even larger room of books – also shelved and piled as required – with yet more browsers. While Judd Books had a lot of books I’m pretty certain it’s also got the highest browsers to books ratio I’m yet to encounter in an independent. And there, at the end of my trail, I found the book for me: Fighting the banana wars and other Fairtrade battles by Harriet Lamb. A fairly innocent book, it tells the story of the Fairtrade banana, something I already buy regularly and haven’t really thought about as anything more than the right thing to do. But the book – and by default the bookshop that supplied it – set me to thinking. Because (and please excuse the philosophising, I may have had a glass of wine while typing) when I was a child I grew up with grand ambitions of changing the world – free sweets, later bed times, world peace, that kind of thing – but now I’m an adult the closest I get to revolution is re-reading The Hunger Games. Then Judd introduced me to this book. Now I admit I’m not up to the standards of influencing farming and food-buying on a global scale, but as I read about the mammoth task of bringing the Fairtrade banana movement into the mainstream I realised the difference we can all make, one small gesture at a time. And I don’t just mean by thinking about the type of bananas we buy (but that does help). Because the Fairtrade movement didn't happen over night, it began with a series of small changes. A bit like the small changes we can all make by supporting local, independent, tax-paying bookshops. 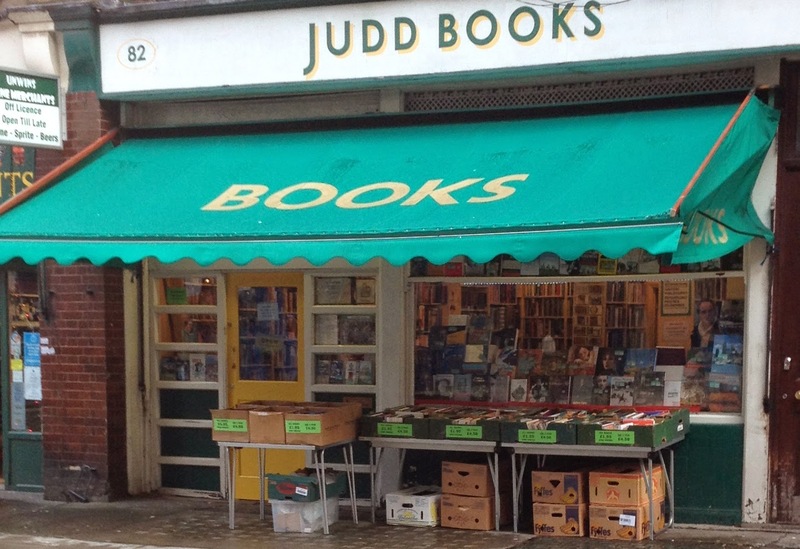 Judd Books was on my walk home from work to the station when I worked in London and was always a very dangerous place to go into. I used to restrict my self to the occasional visit - usually around pay day. You could browse for ages in the fiction section - they seemed to find some very interesting and eclectic remainders. A very sensible restriction to impose - but not one I'm very good at!